Posted by Unknown , 02:10 Be the first to comment! 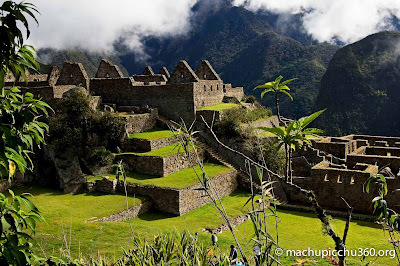 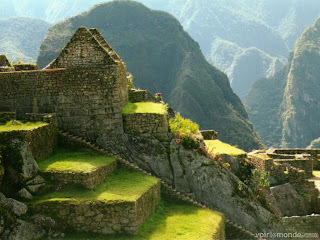 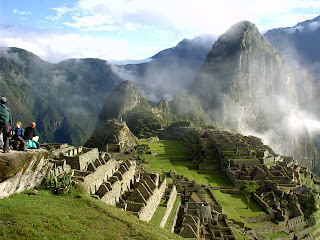 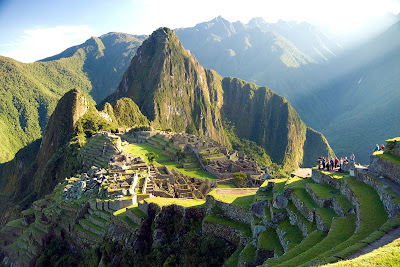 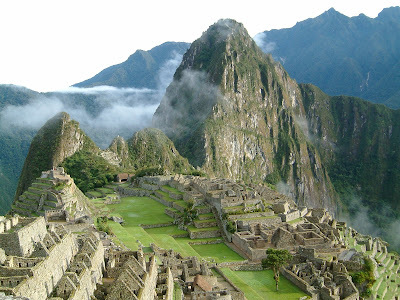 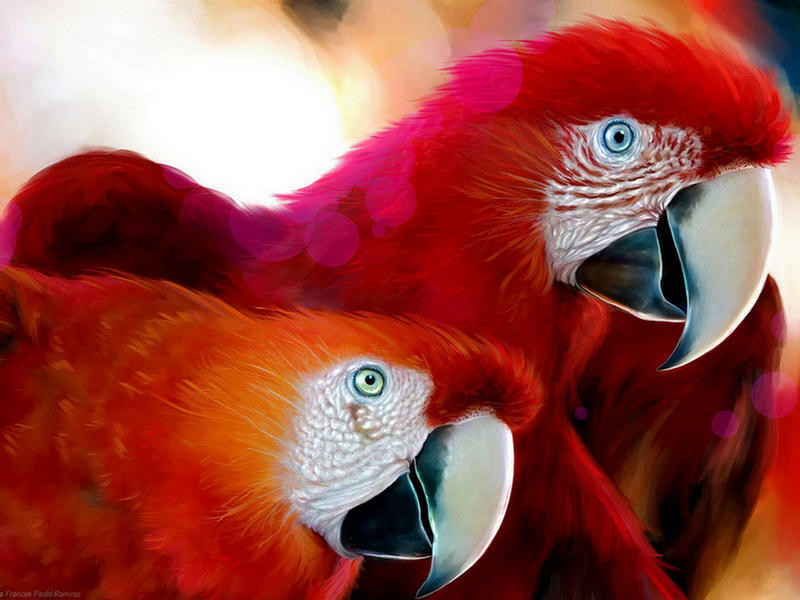 Machu Picchu is located in the Cusco Region of Peru, South America. 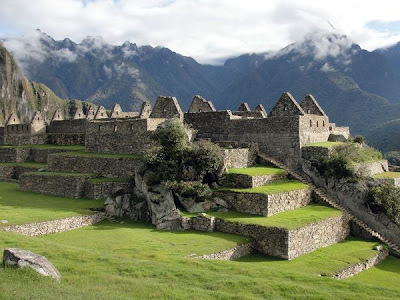 It is situated on a mountain ridge above the Urubamba Valley in Peru, which is 80 kilometres (50 mi) northwest of Cusco and through which the Urubamba River flows. 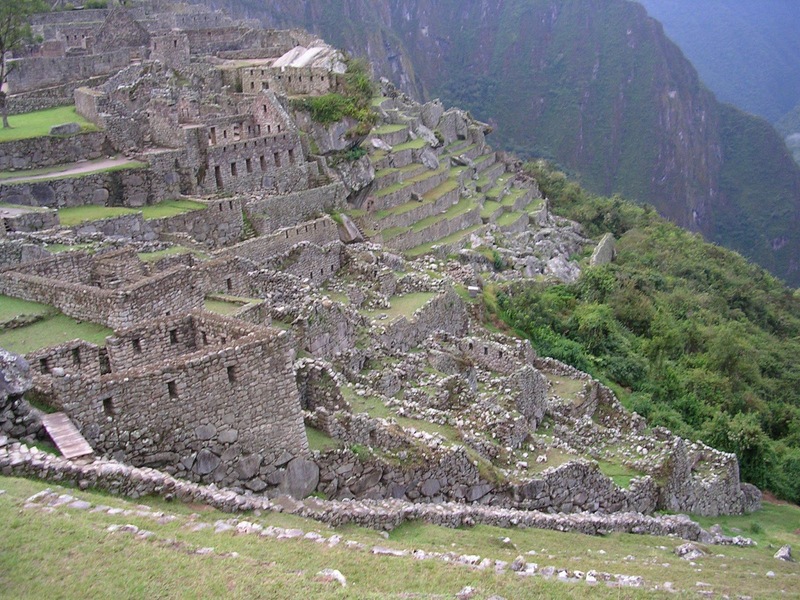 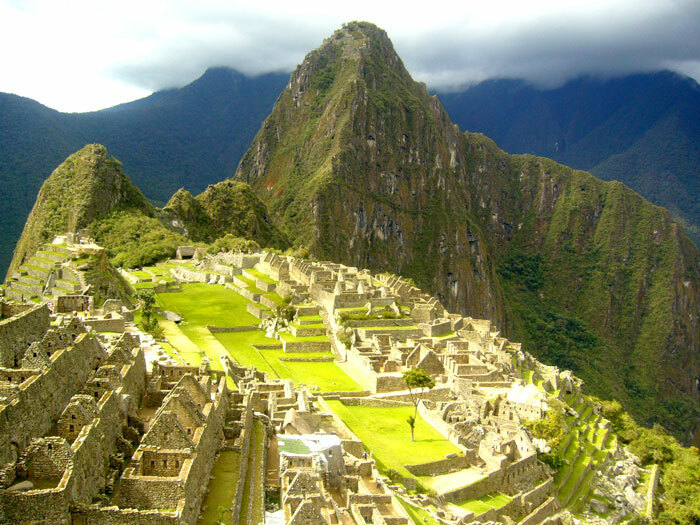 Most archaeologists believe that Machu Picchu was built as an estate for the Inca emperor Pachacuti (1438–1472). Often referred to as the "City of the Incas", it is perhaps the most familiar icon of Inca civilization. 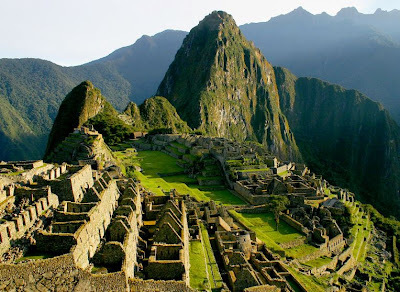 Machu Picchu represents the face of the Inca looking upward towards the sky, with the largest peak, Huayna Picchu (meaning Young Peak), representing his pierced nose and also the duality templance and balance withing Machupicchu. The Temple covers the entire landscape of the slopes of Huayna Picchu and consists of a set of architecturally enhanced caves, most likely used to hold mummies of important Inca ancestors and provide places for their worship. 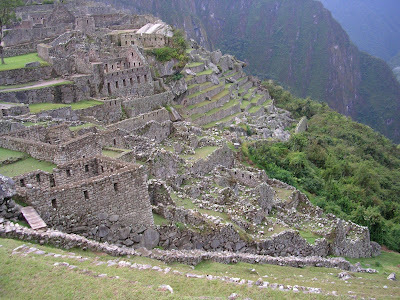 More fine stonework embellishes the walls of these caves, some of which are decorated with niches and altars carved into the native rock. Machu Picchu is a UNESCO World Heritage Site. 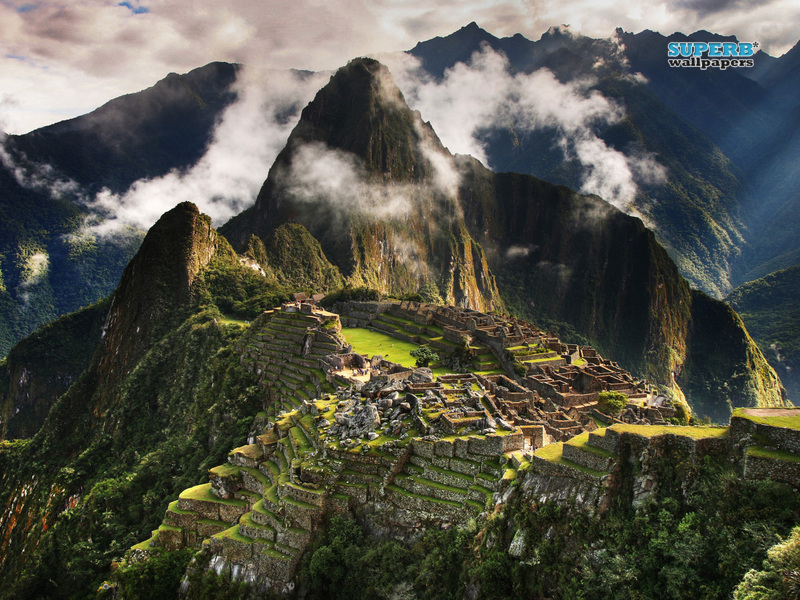 Since its discovery in 1911, a growing number of tourists visit Machu Picchu, reaching 400,000 in 2000. 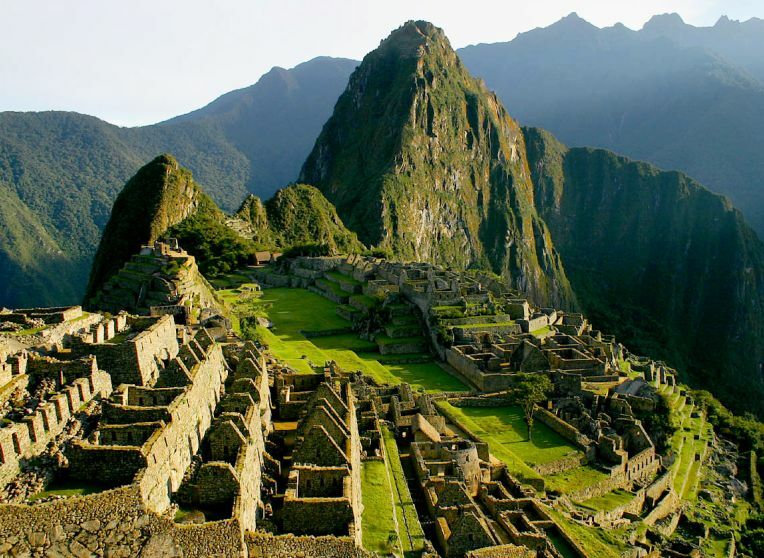 As Peru's most visited tourist attraction and major revenue generator, it is continually threatened by economic and commercial forces. In the late 1990s, the Peruvian government granted concessions to allow the construction of a cable car and development of a luxury hotel, including a tourist complex with boutiques and restaurants.